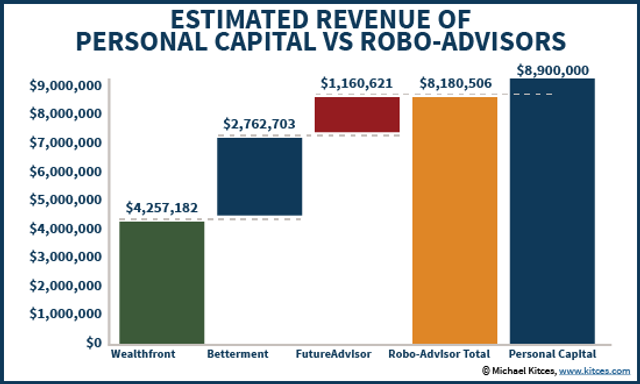 How much revenue are the Robo-Advisors actually making? A quick scan of the SEC's Investment Adviser Public Disclosure tools and some quick maths by these guys puts the total combined revenue of Wealthfront, Betterment and FutureAdvisor at US$8.1M per annum. Personal Capital, by contrast , makes $8.9M (calculated off a 0.89% fee on $1B of AUM).